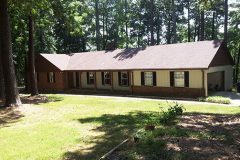 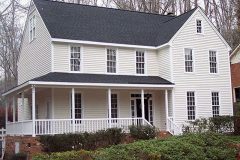 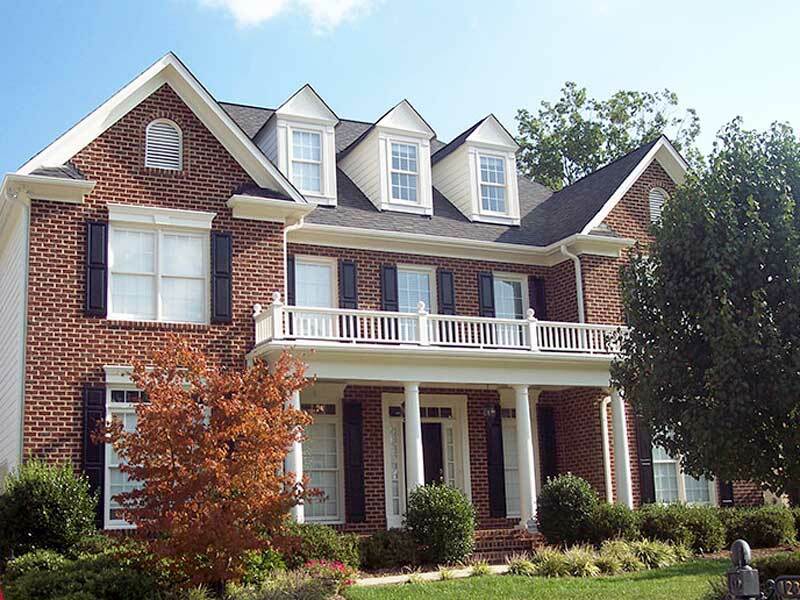 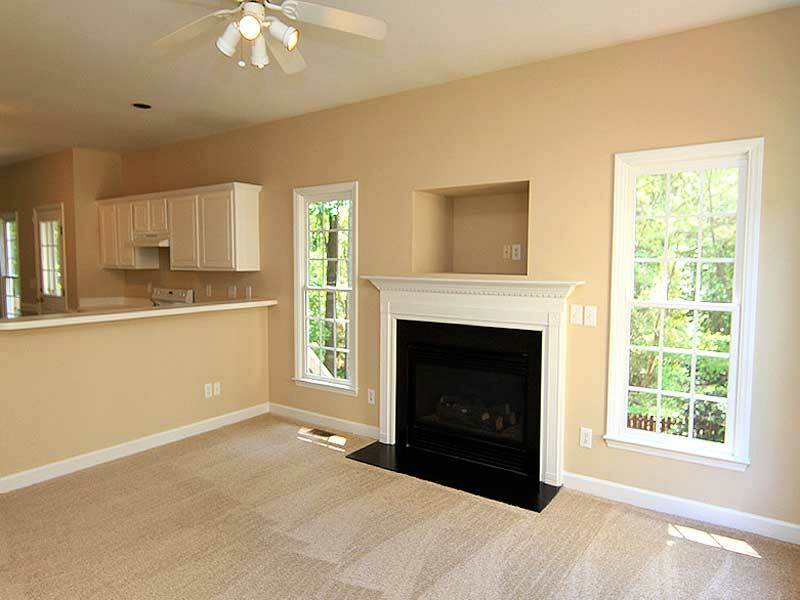 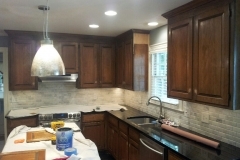 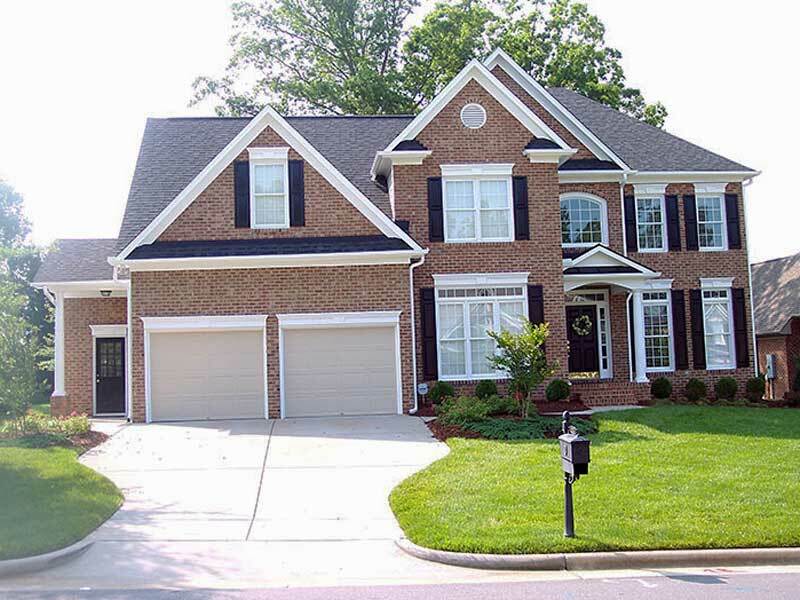 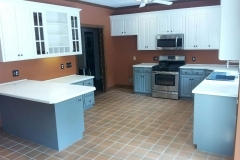 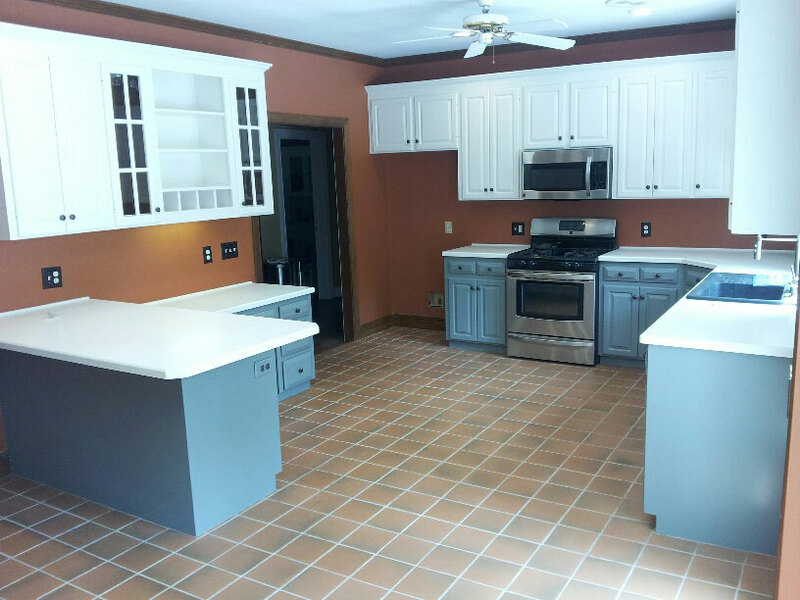 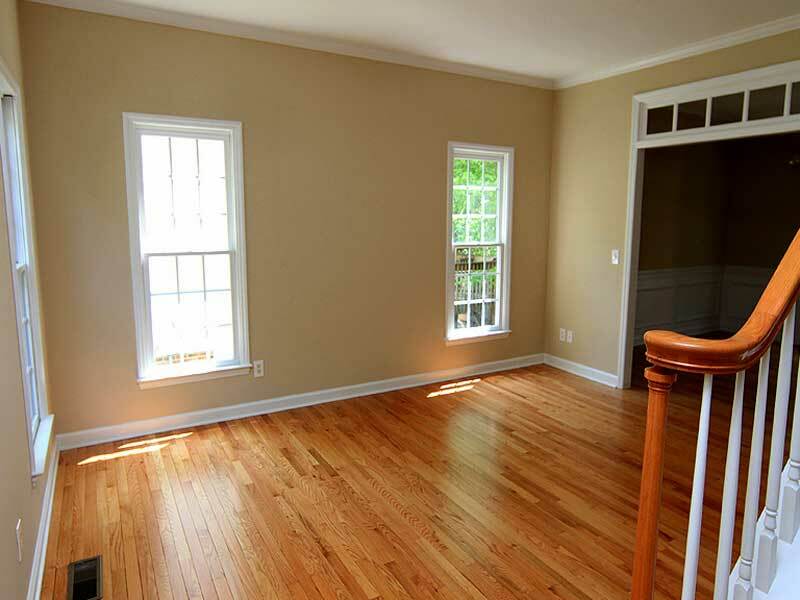 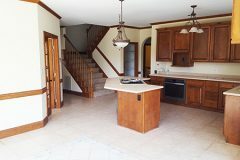 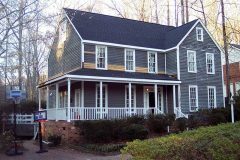 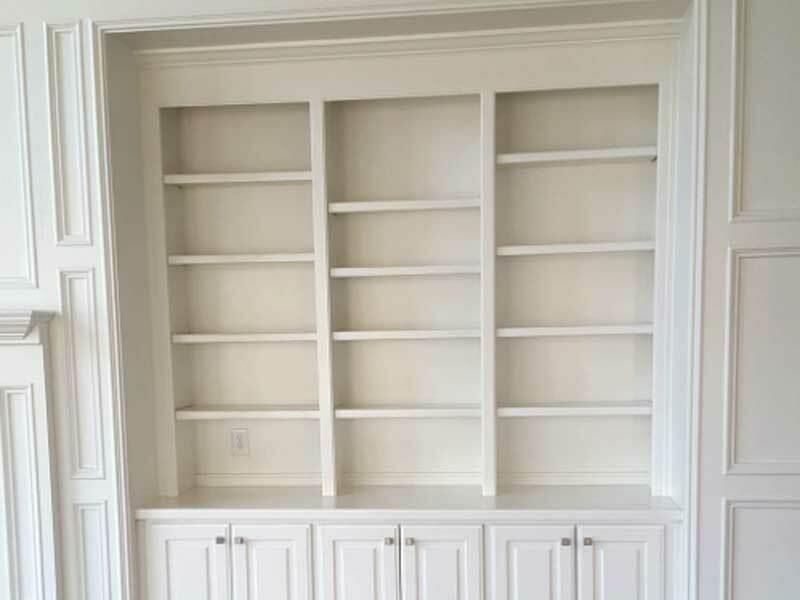 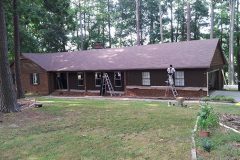 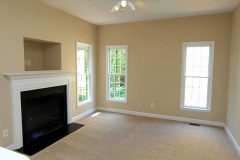 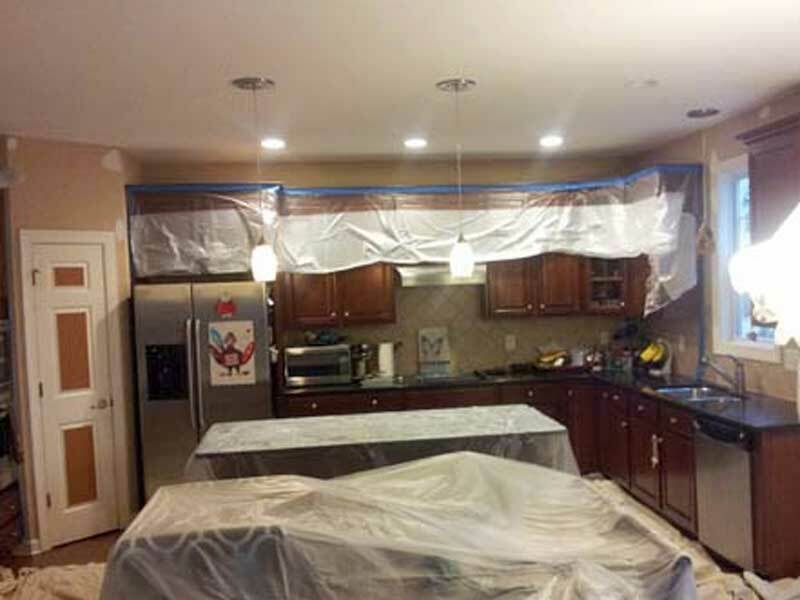 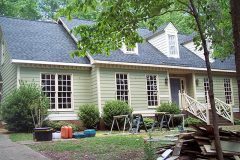 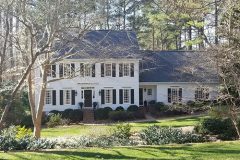 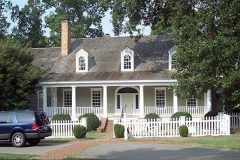 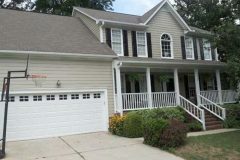 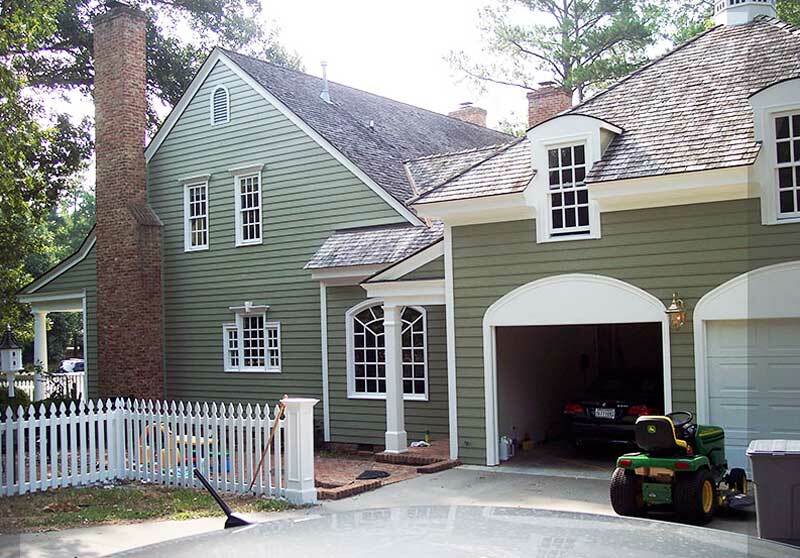 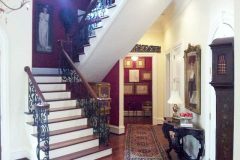 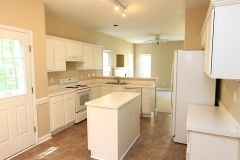 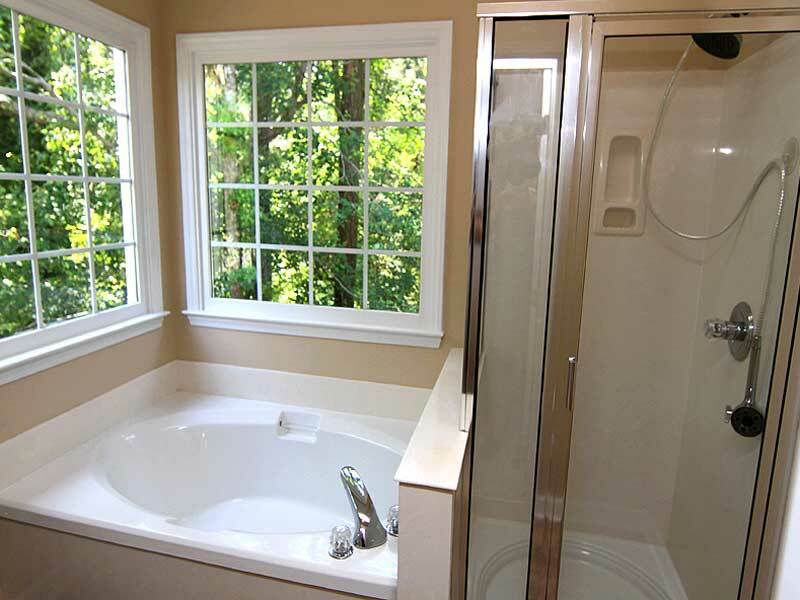 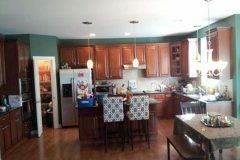 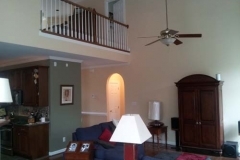 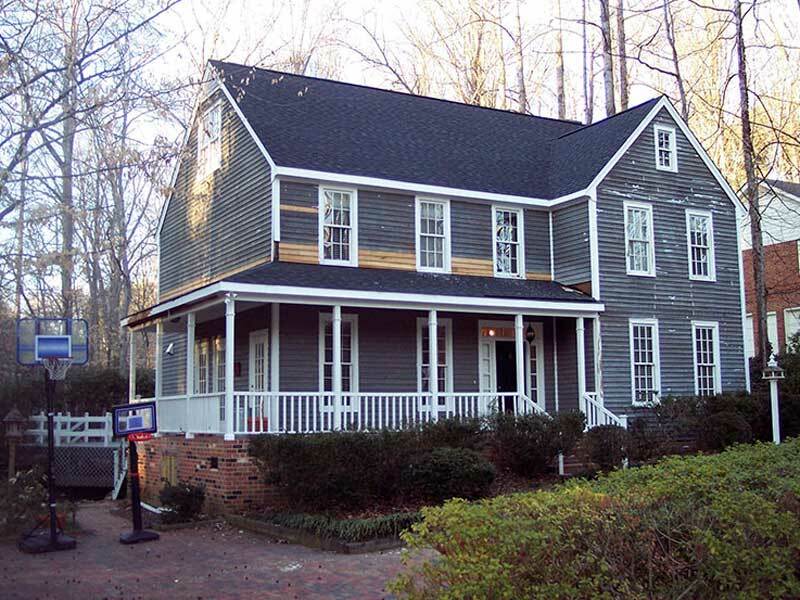 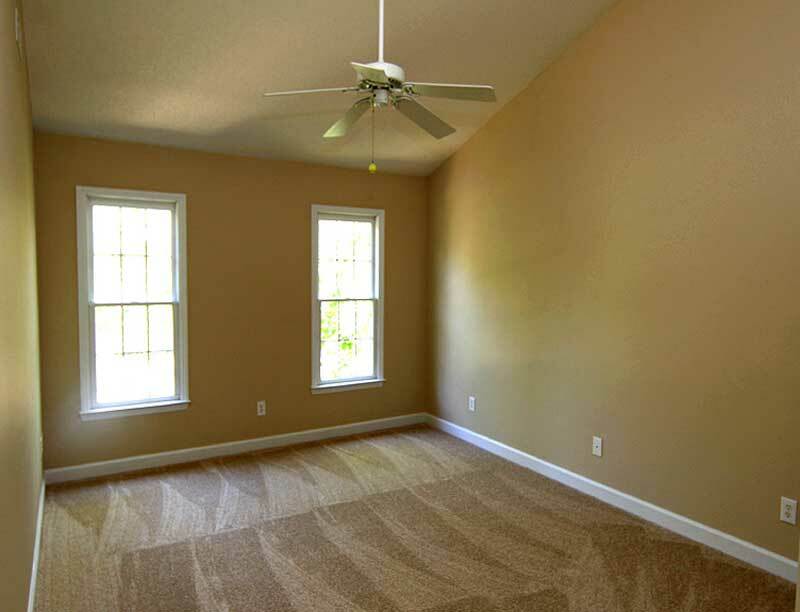 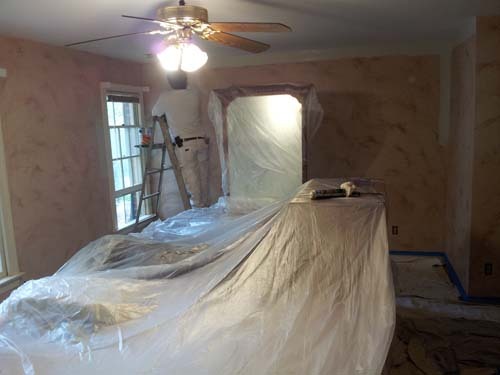 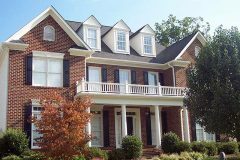 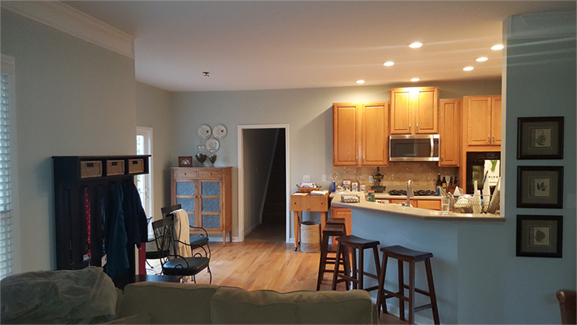 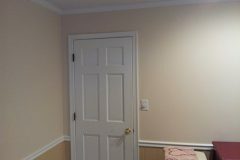 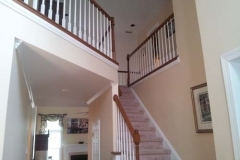 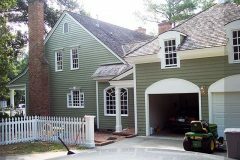 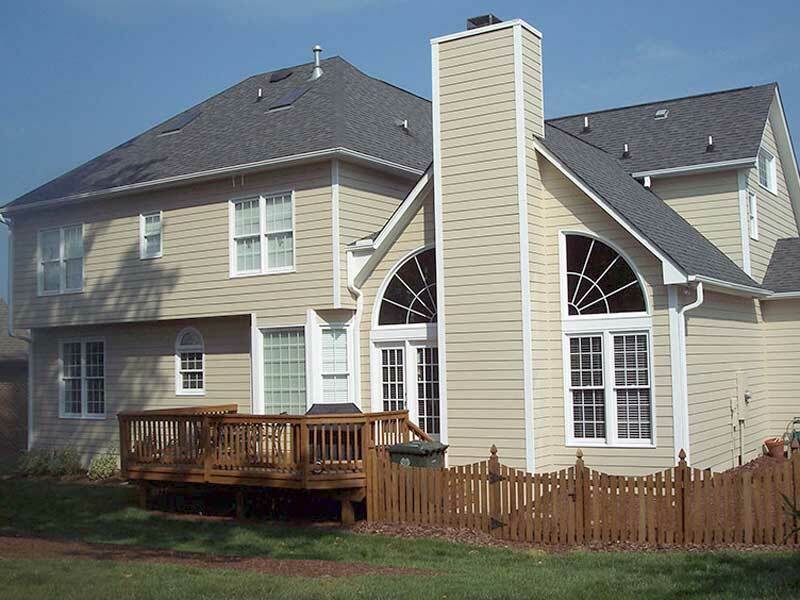 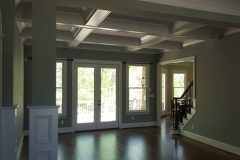 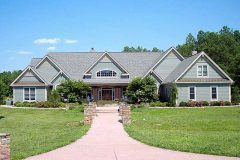 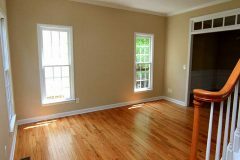 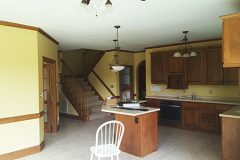 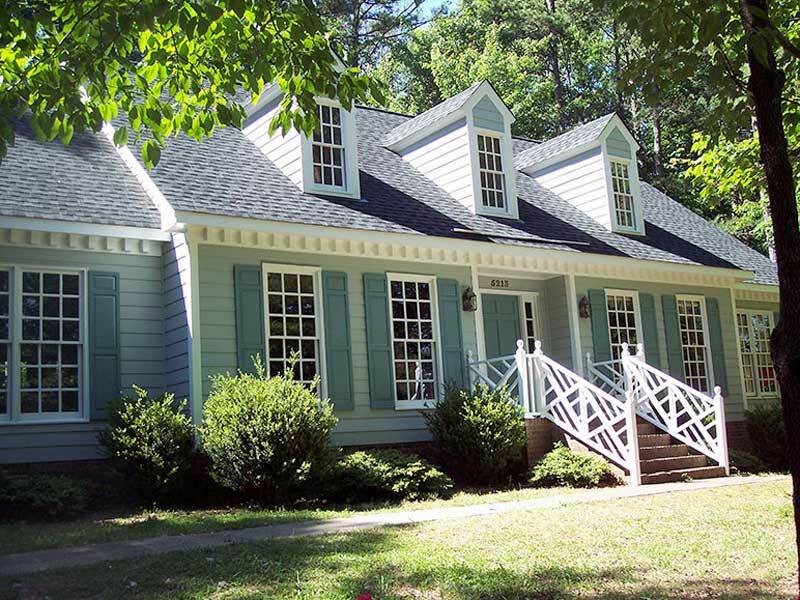 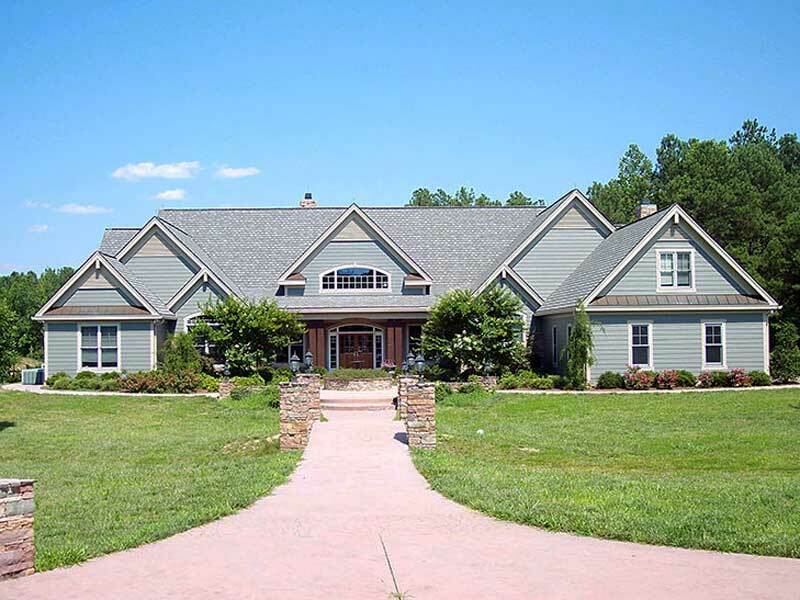 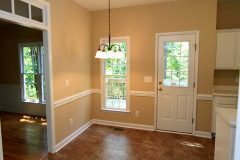 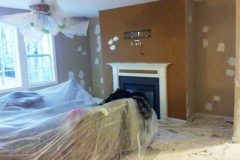 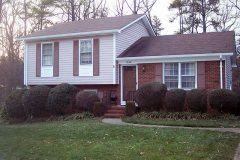 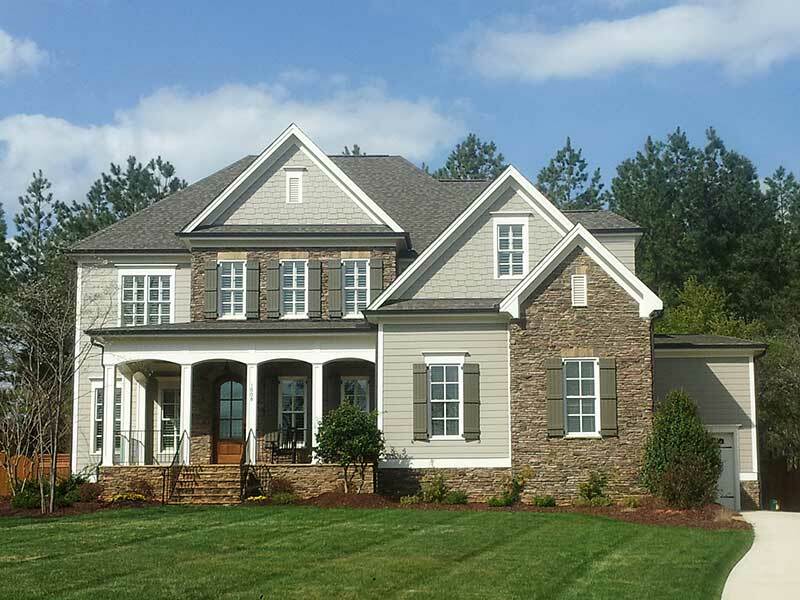 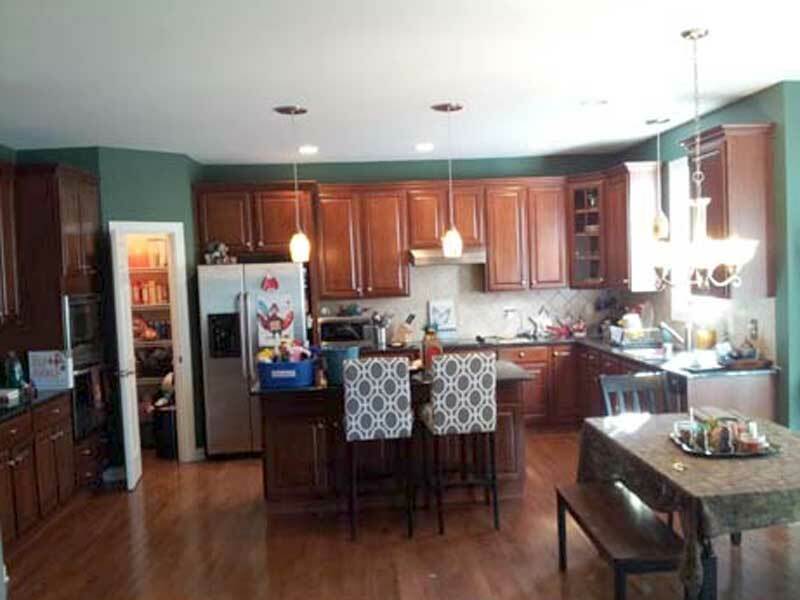 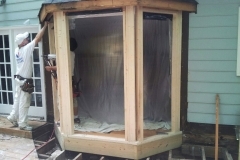 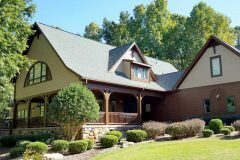 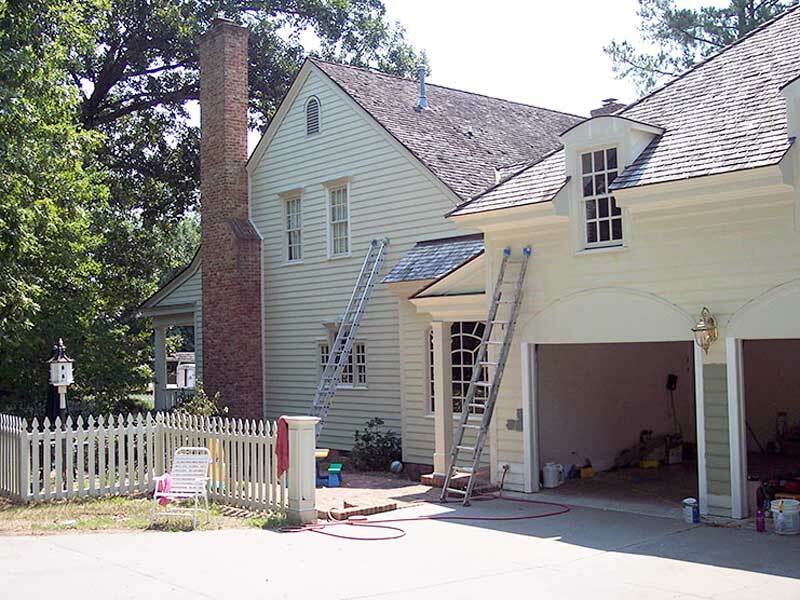 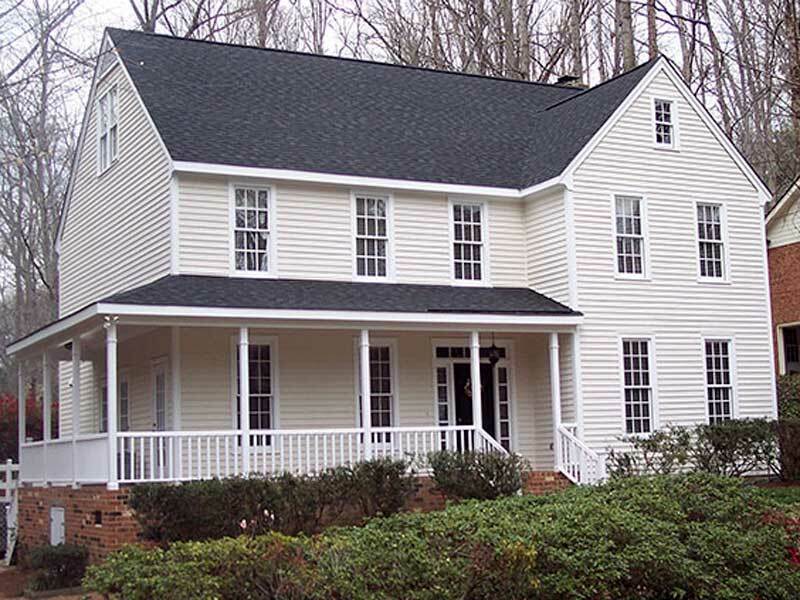 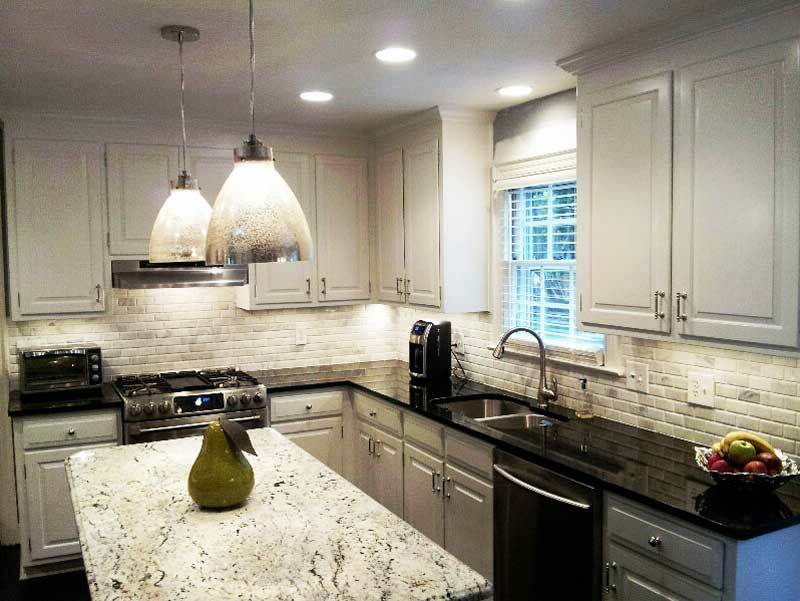 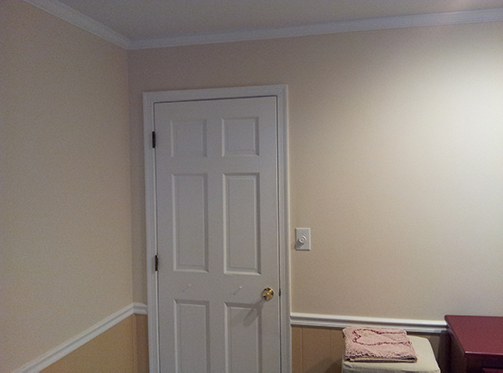 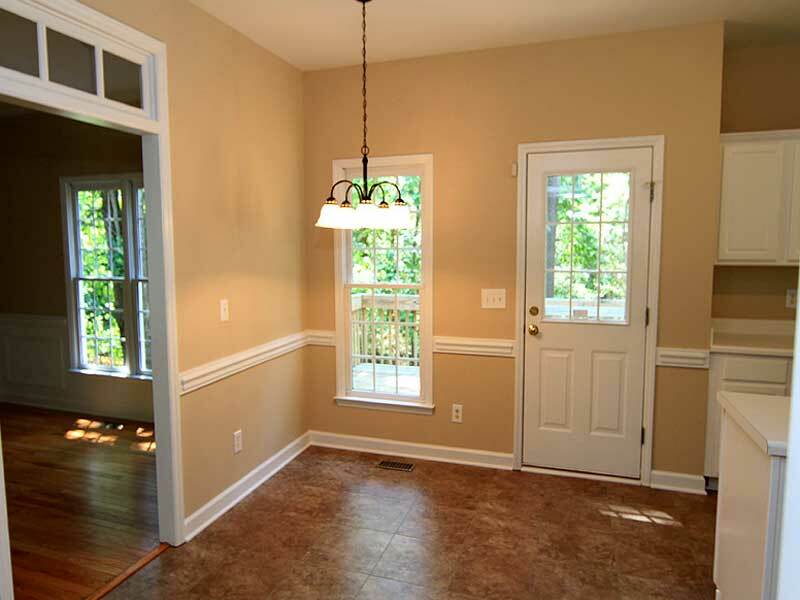 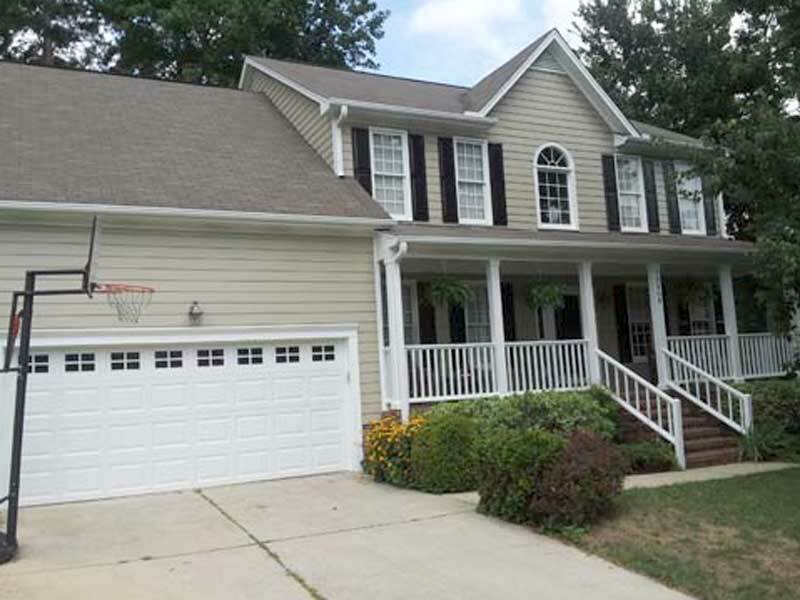 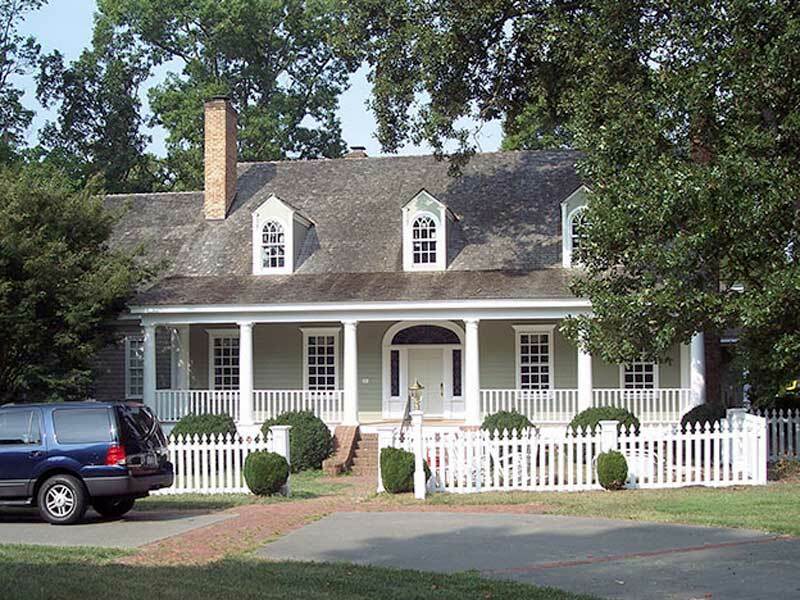 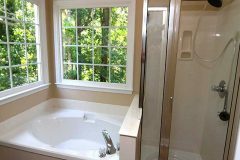 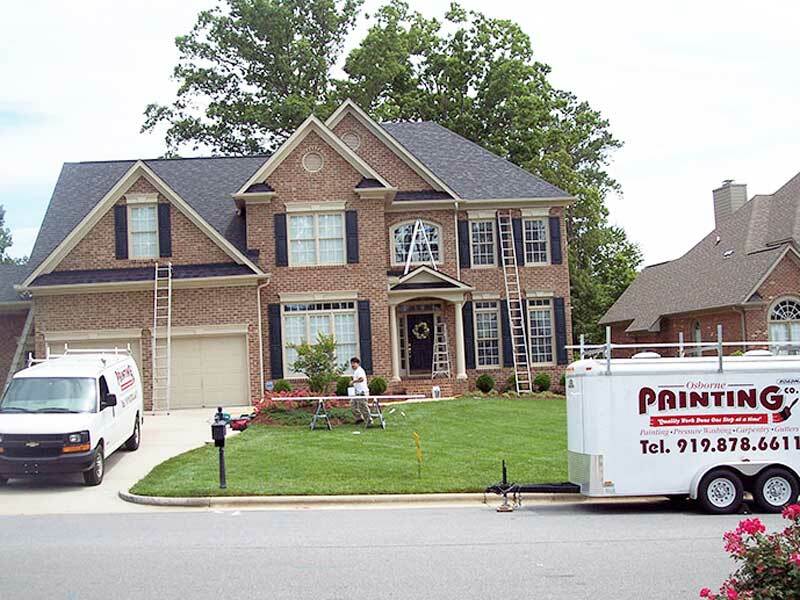 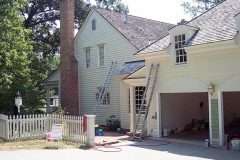 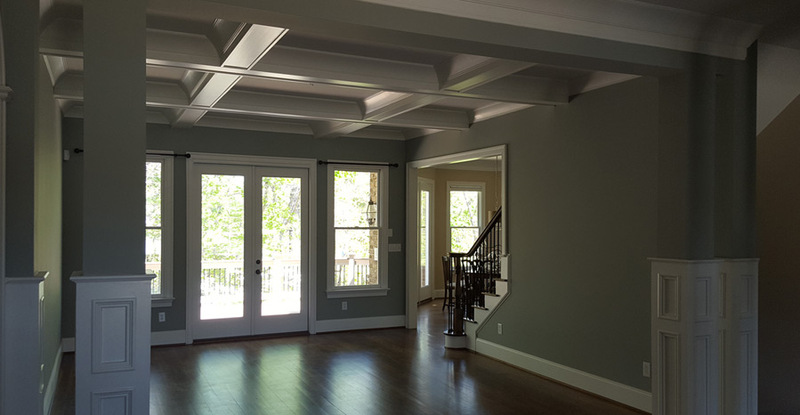 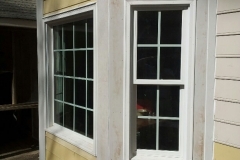 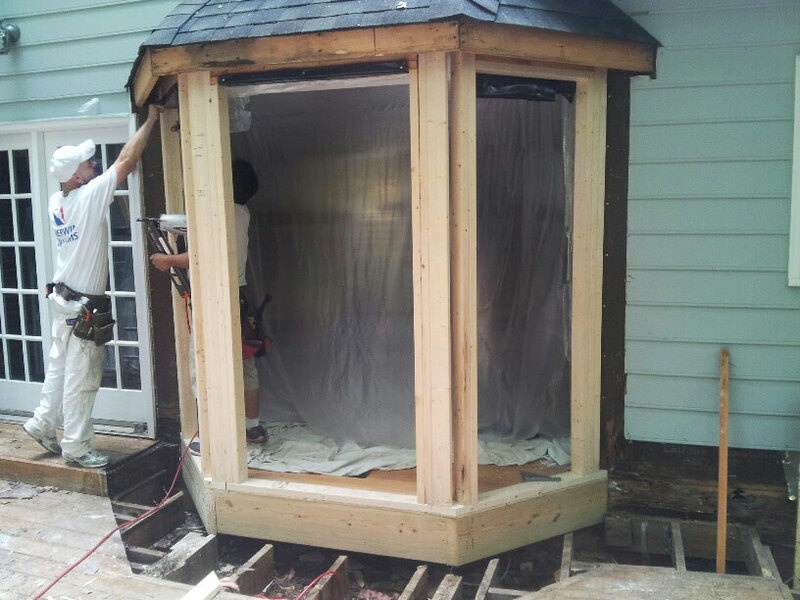 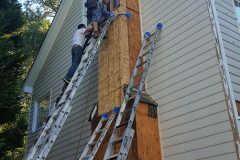 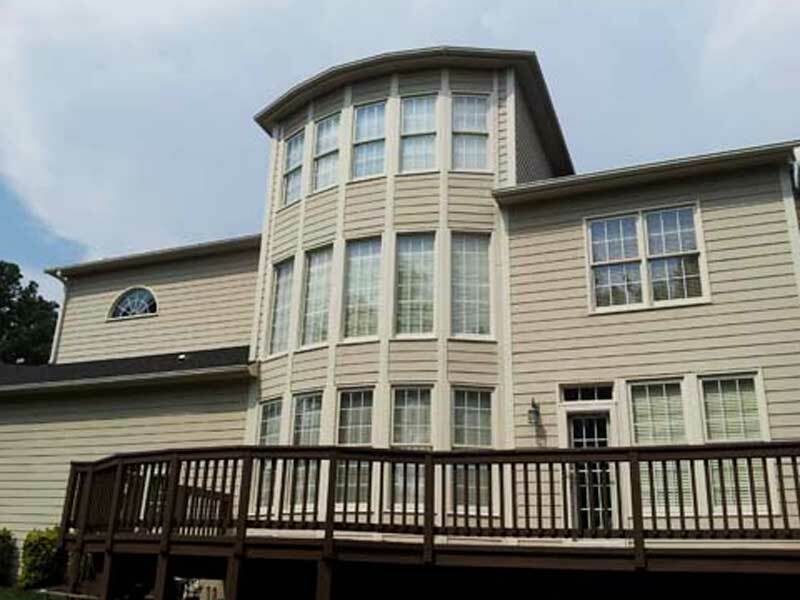 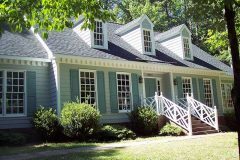 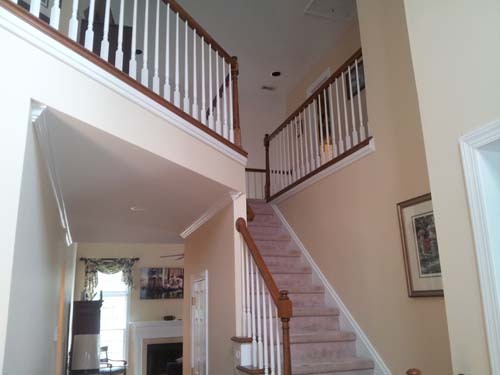 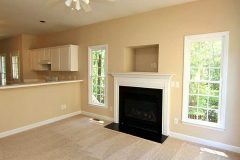 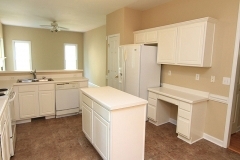 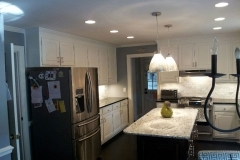 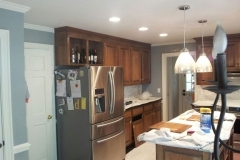 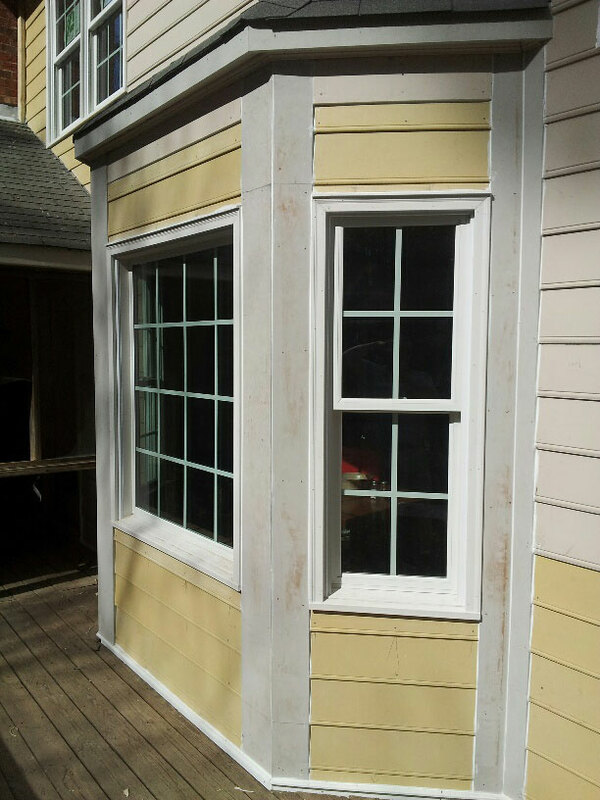 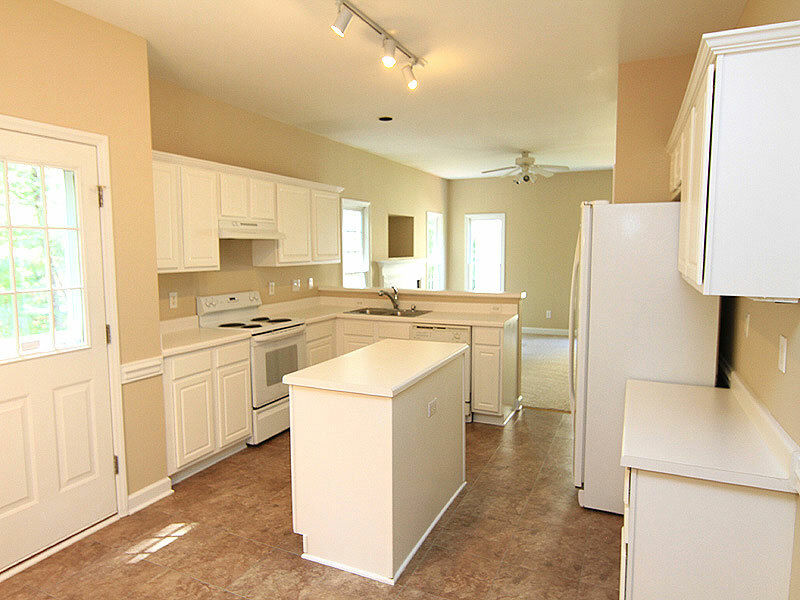 Take a look at some of our recent home painting and carpentry projects in the Raleigh area. 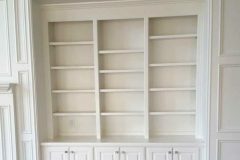 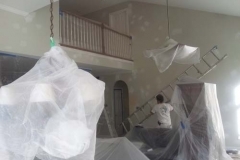 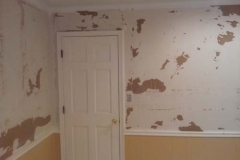 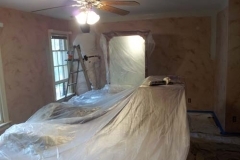 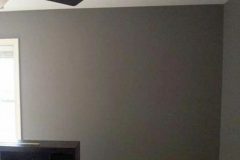 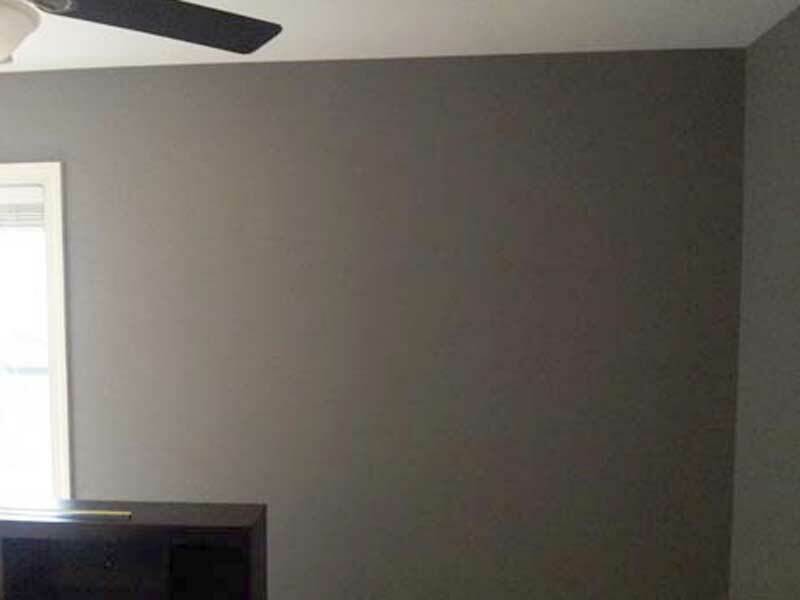 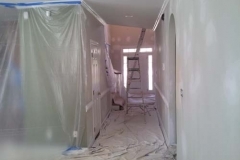 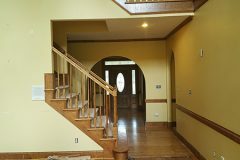 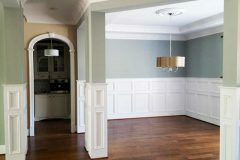 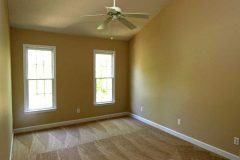 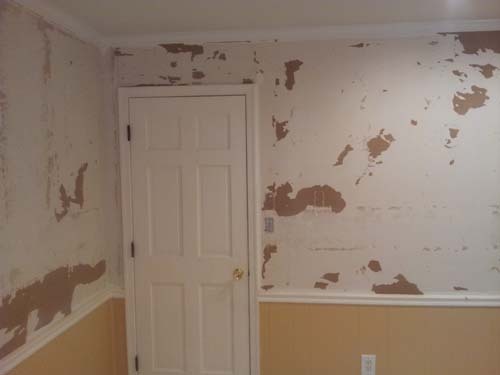 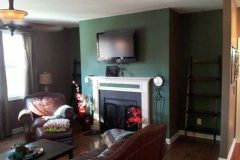 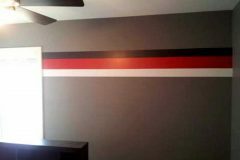 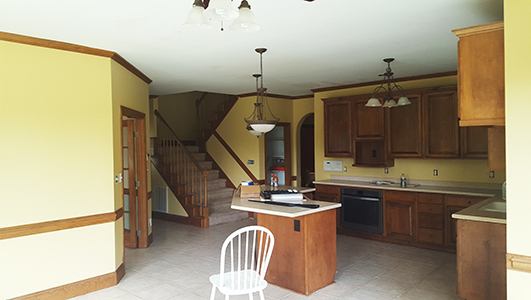 Our highly skilled team proudly provides interior and exterior painting, cabinet refinishing, wallpaper removal, popcorn ceiling removal, wood rot repair, deck refinishing, gutter replacement, fence painting, and more! 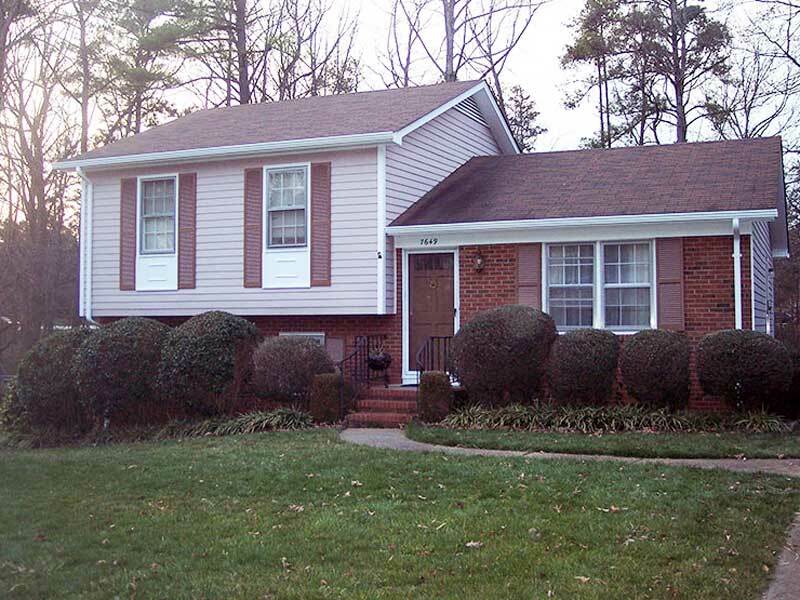 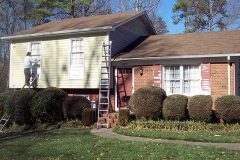 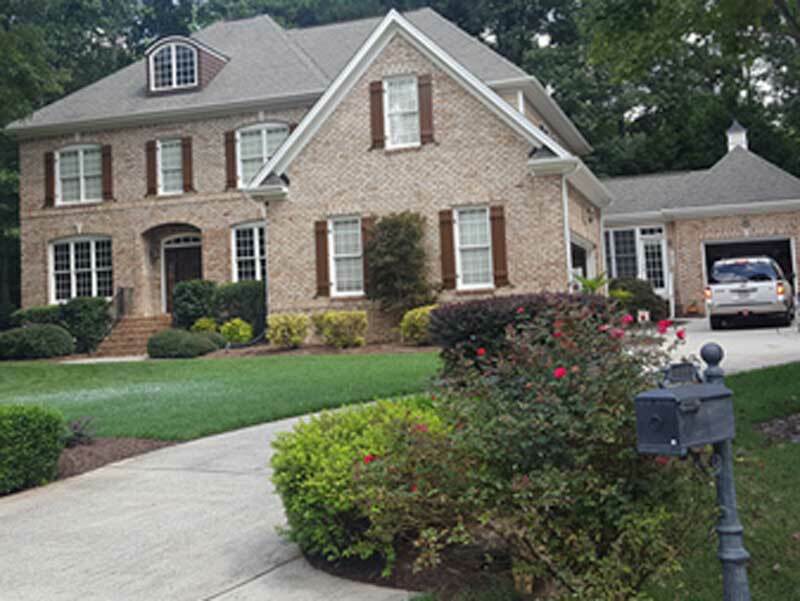 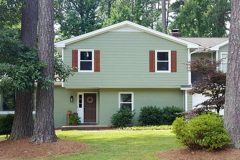 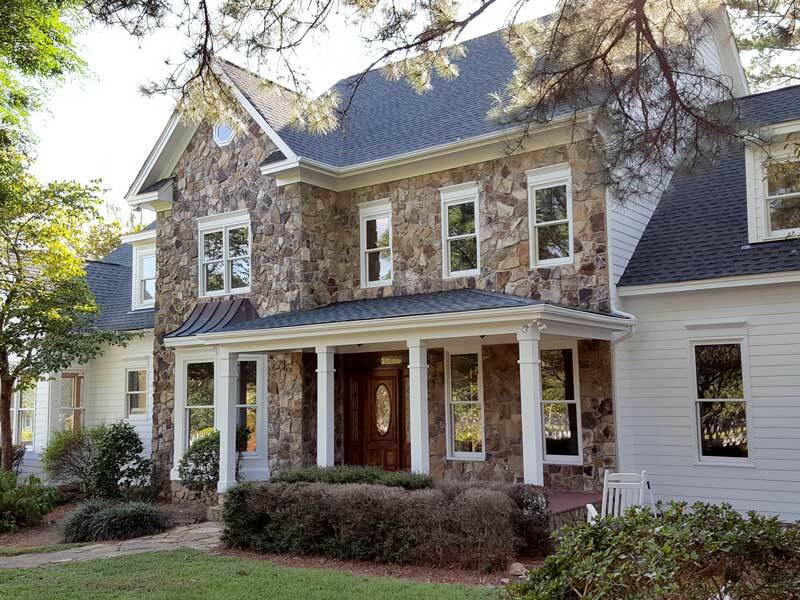 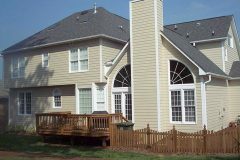 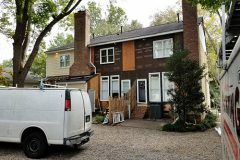 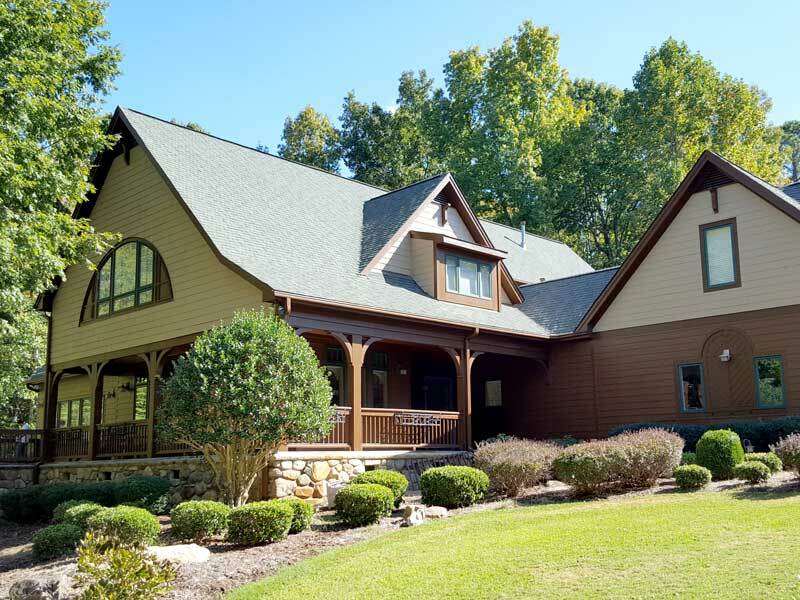 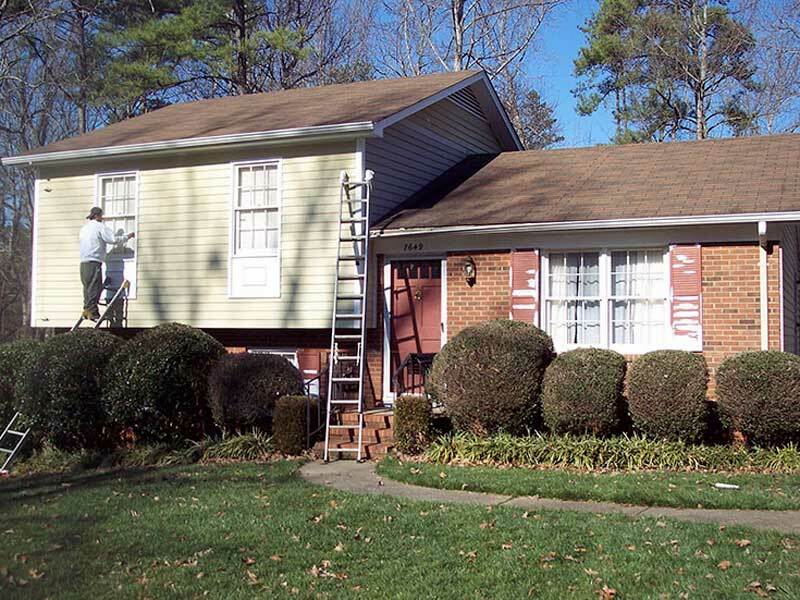 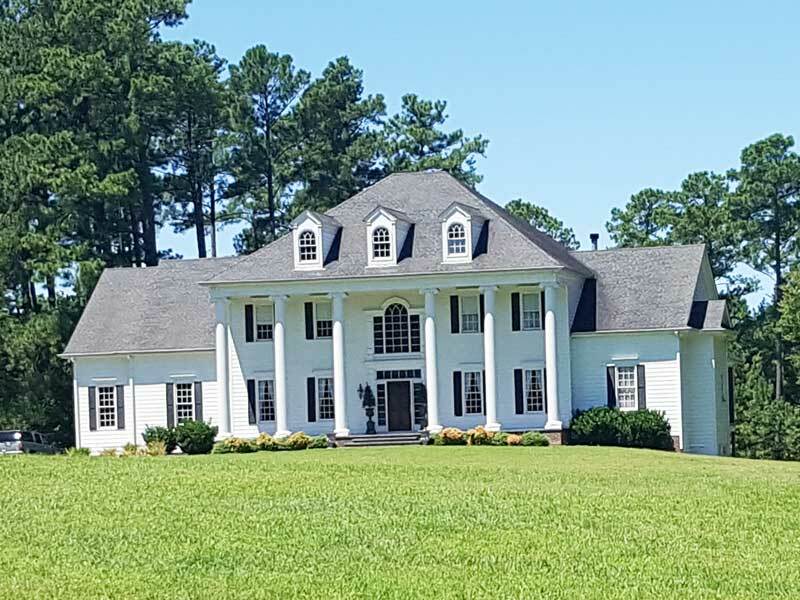 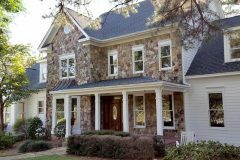 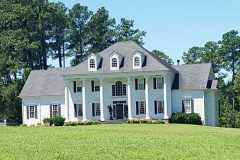 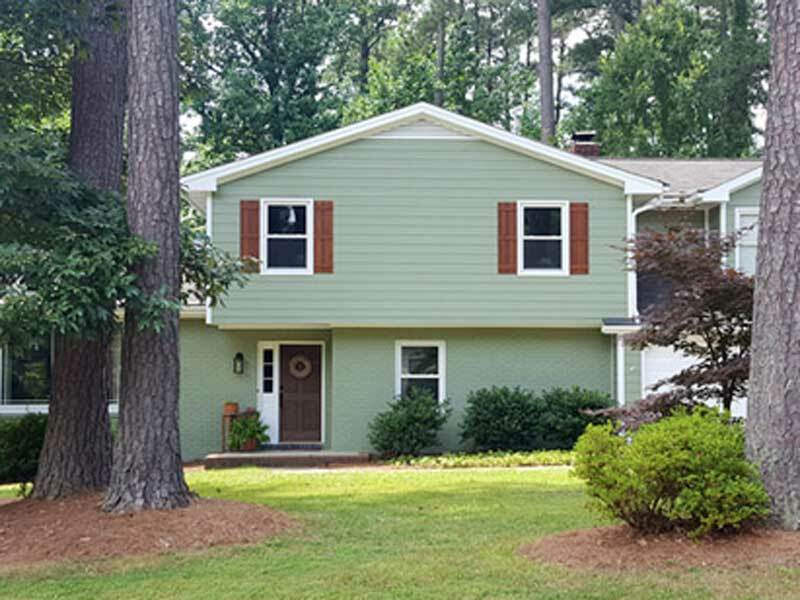 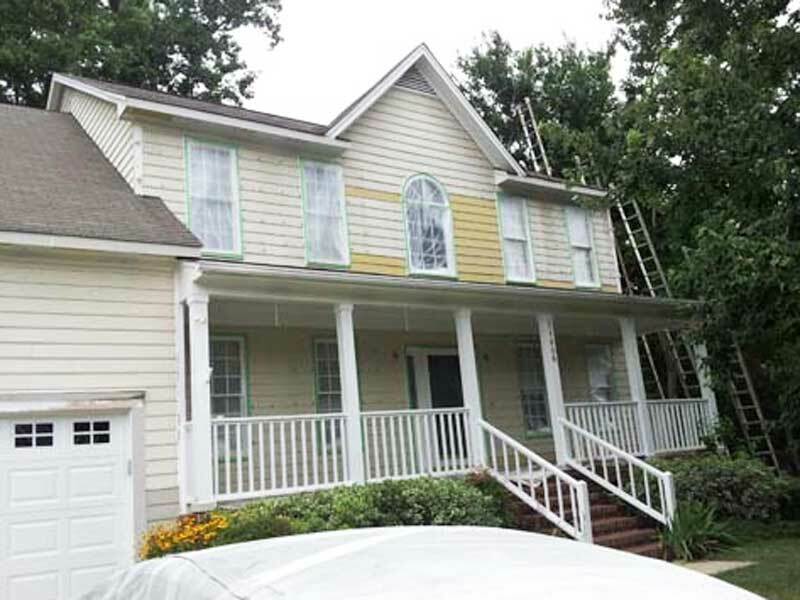 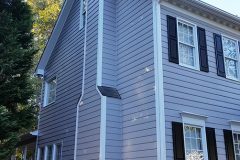 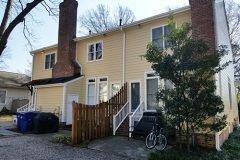 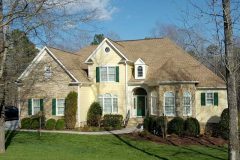 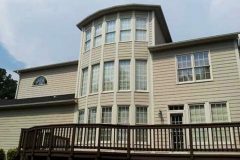 See how our team of professional exterior painting contractors added extra value to these Raleigh homes with some added curb appeal. 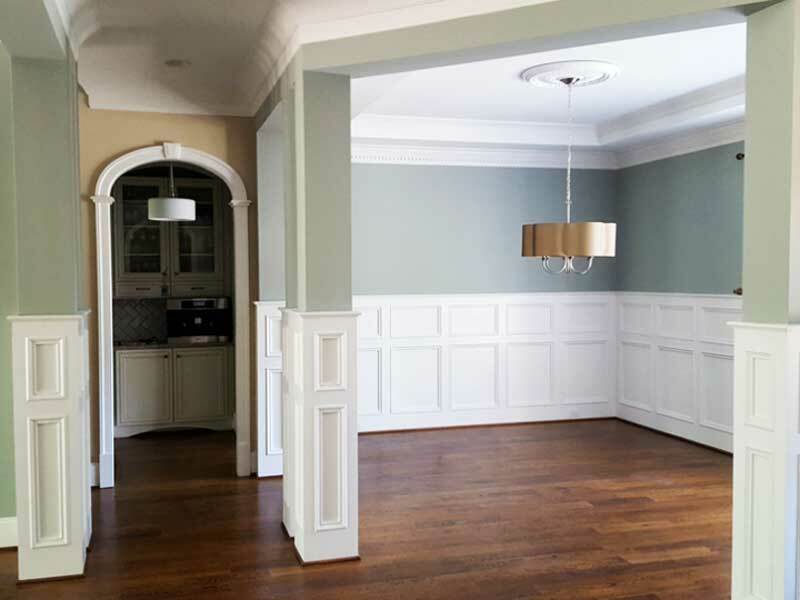 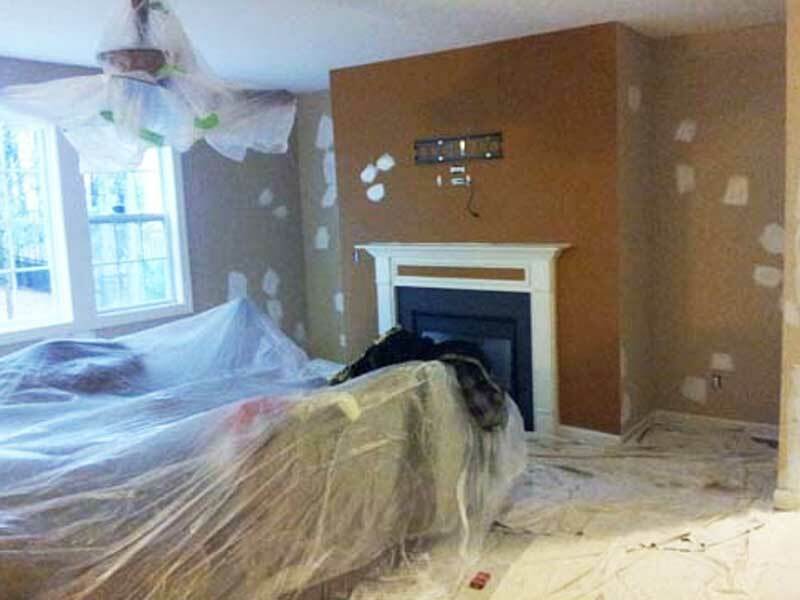 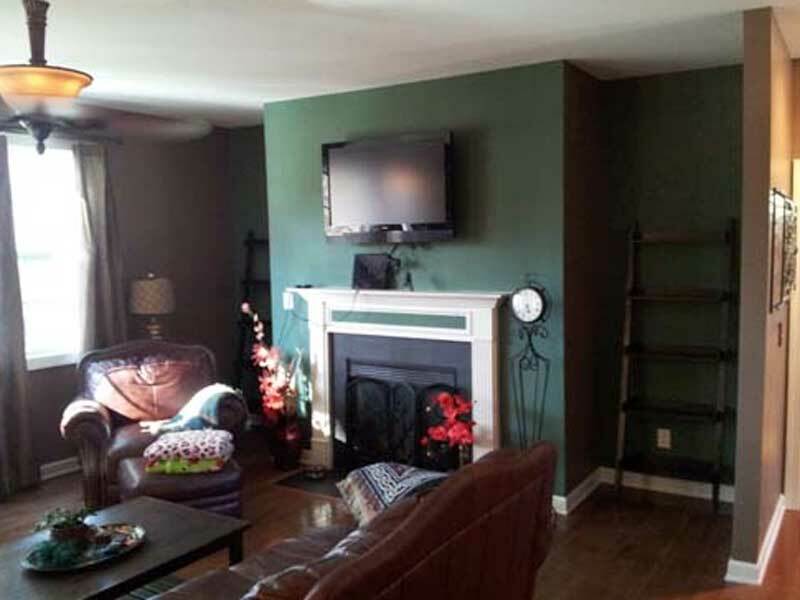 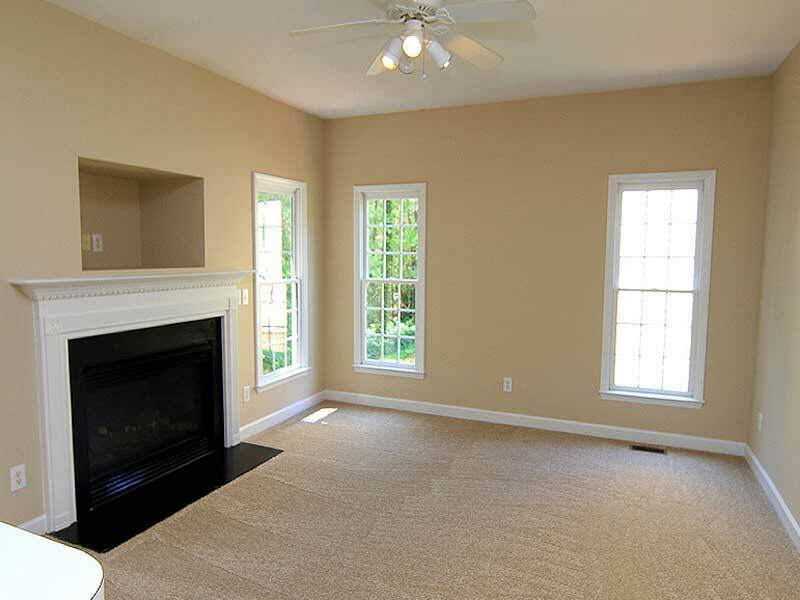 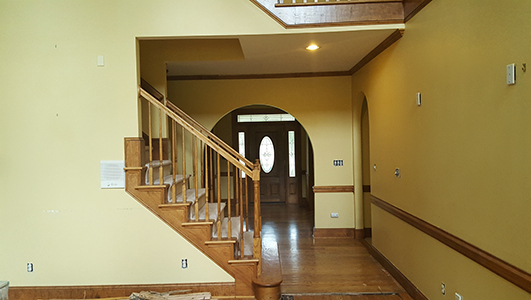 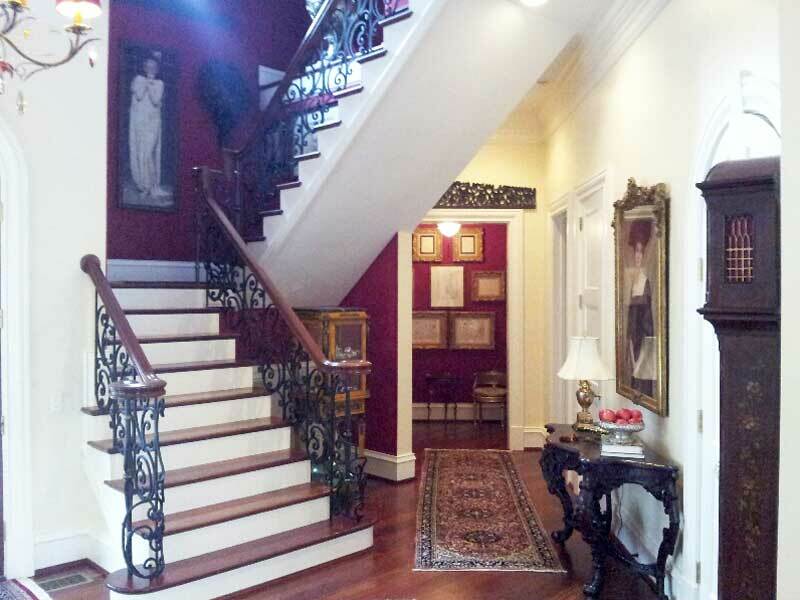 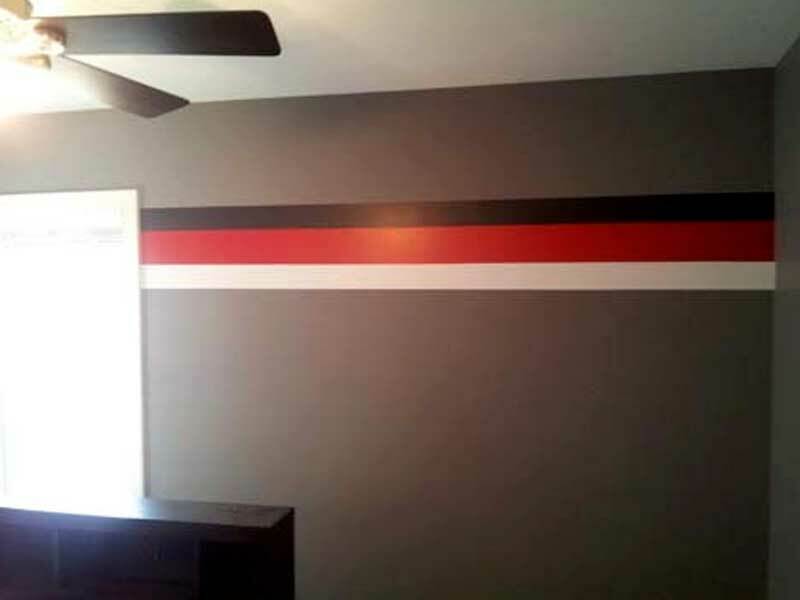 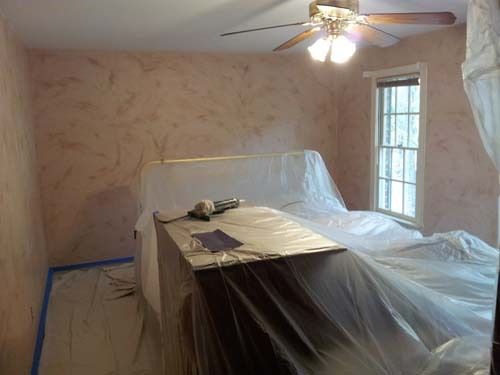 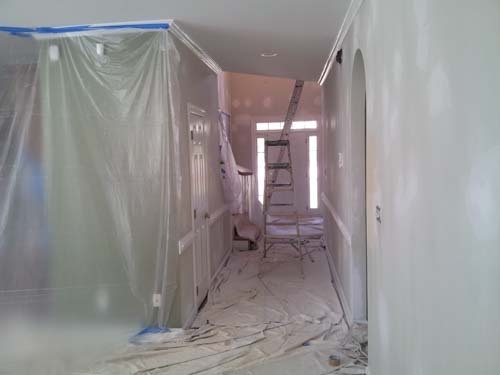 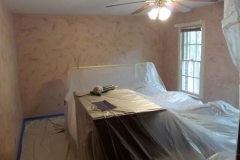 Osborne Painting takes the utmost care and precaution when painting the interior of your home. 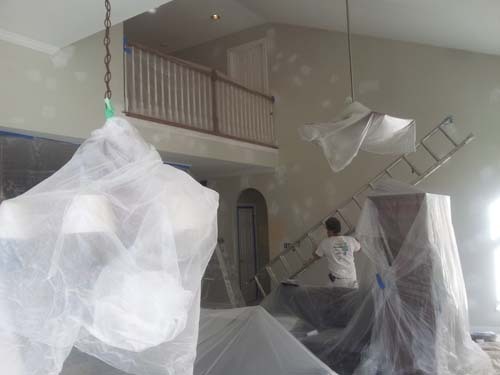 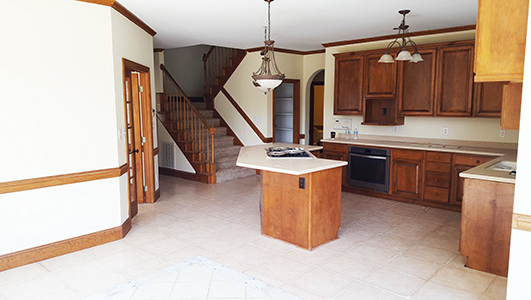 Whether we are adding a fresh coat of paint to your dining room, kitchen, bedroom, bonus room, basement, or bathroom, we promise to leave your house as clean as we found it. 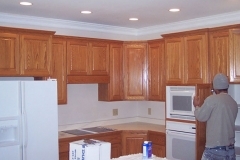 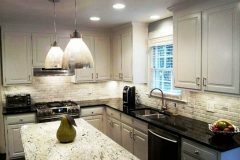 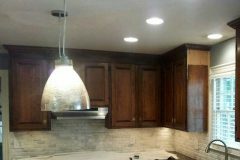 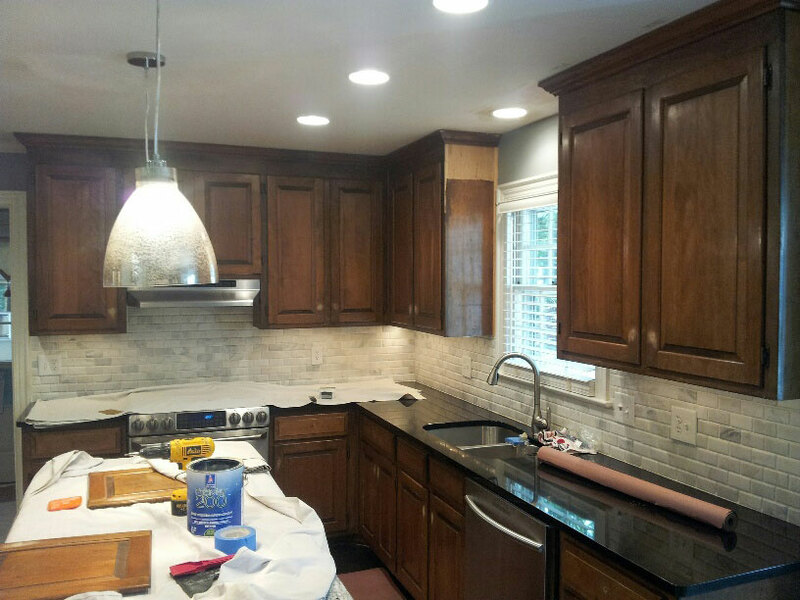 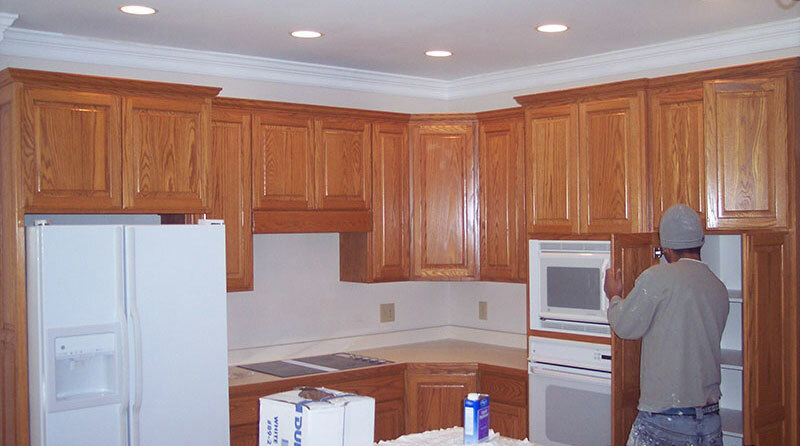 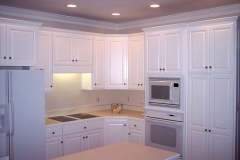 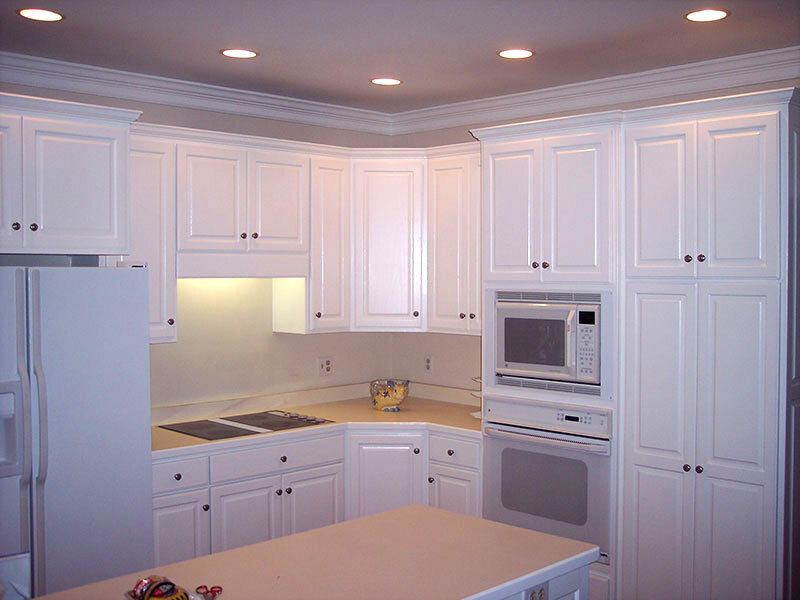 Refinishing your kitchen cabinets is no easy task, and it is definitely a project better left to professionals! 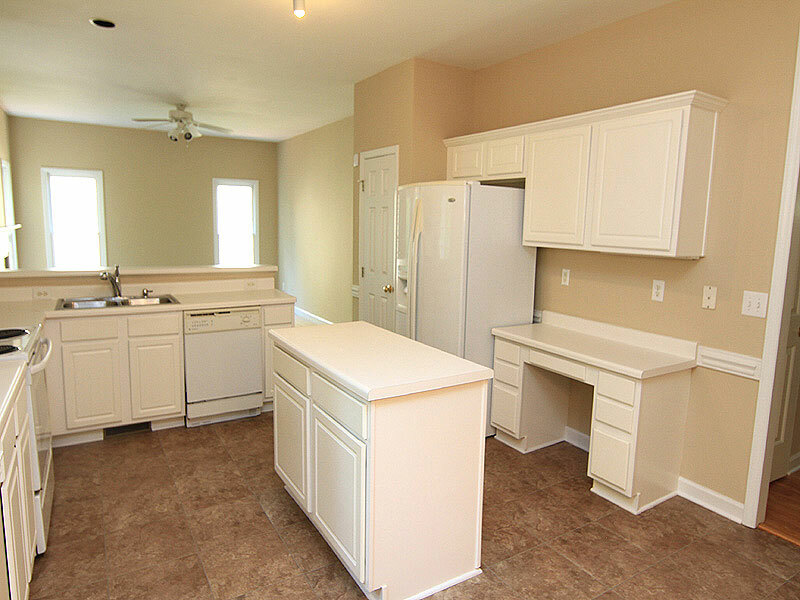 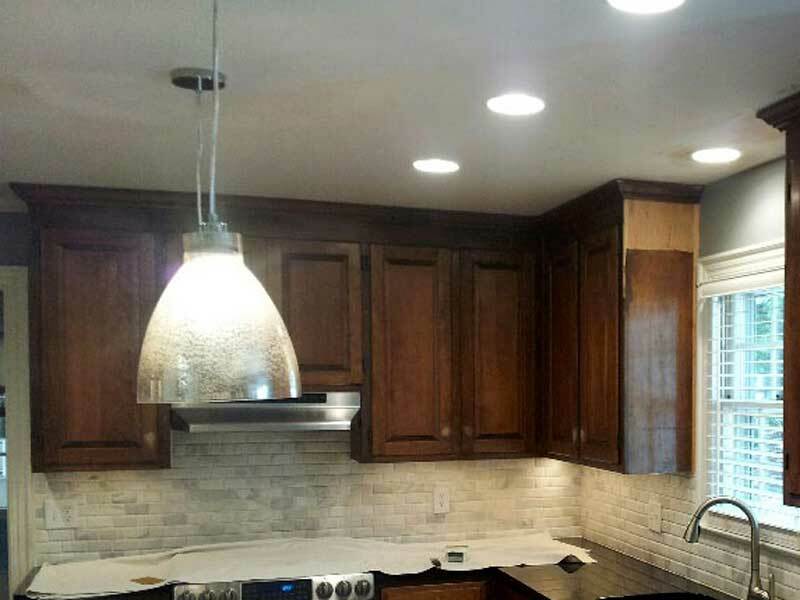 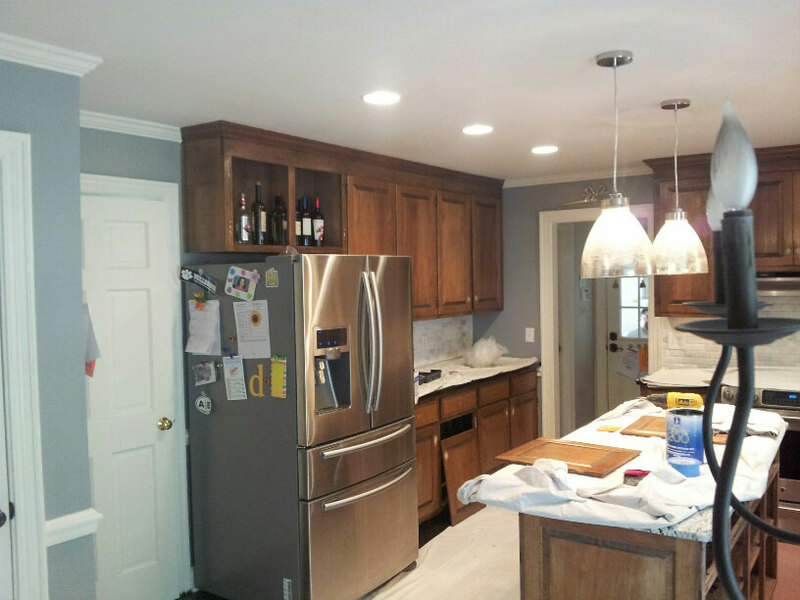 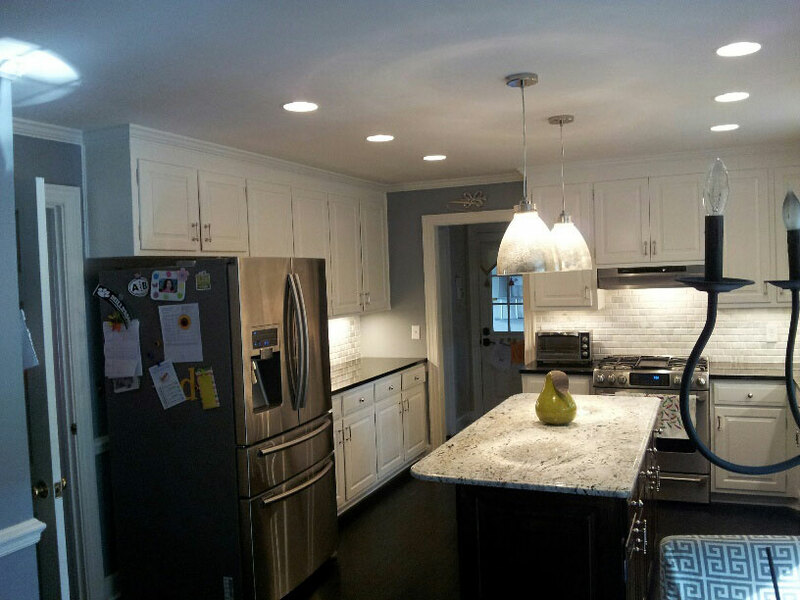 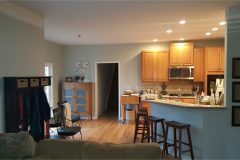 See some of our recent kitchen transformations below. 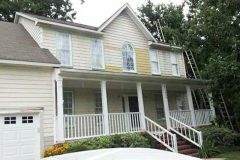 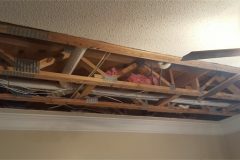 During the course of an exterior painting project, it is not uncommon for us to uncover existing conditions such as wood rot or termite damage. 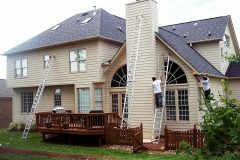 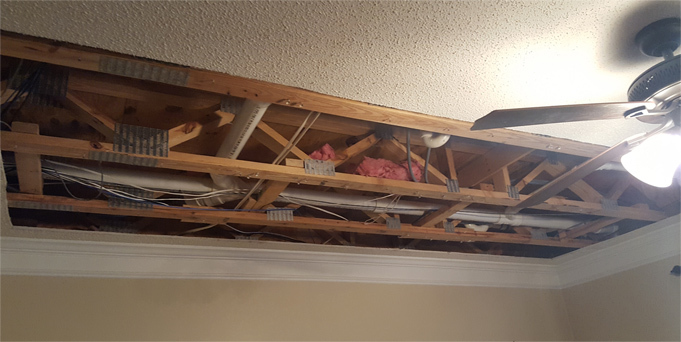 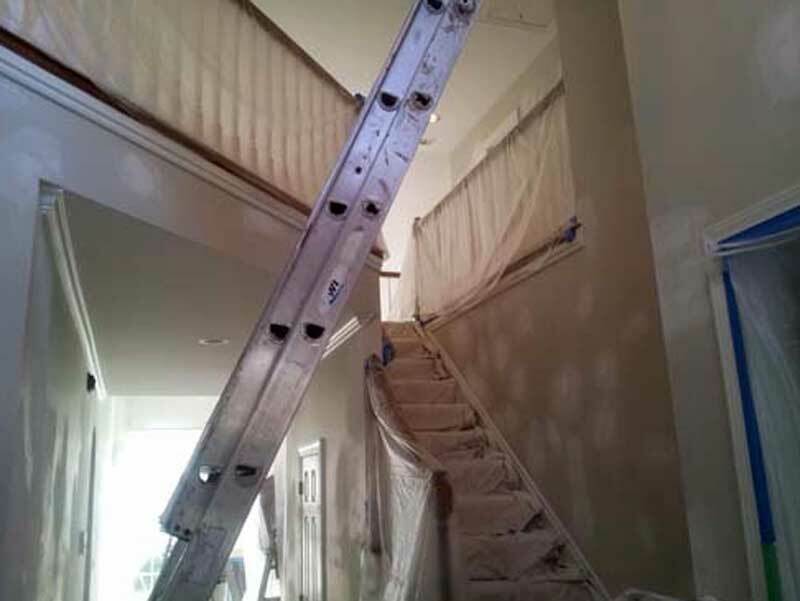 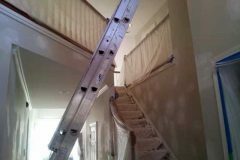 As your full service exterior contractor, we can handle these types of repairs for you so you don’t have to juggle multiple subcontractors. 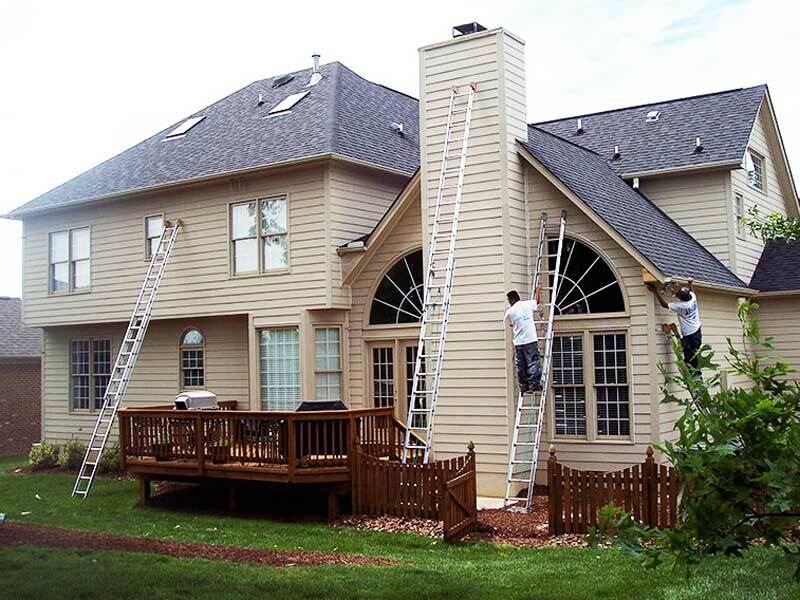 See some examples below. 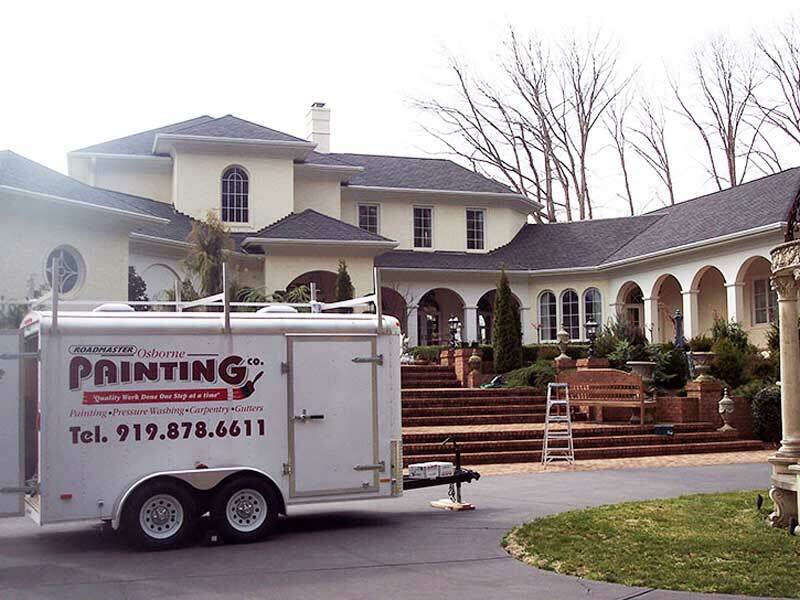 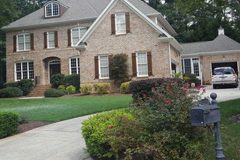 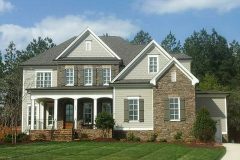 Give us a call at (919) 878-6611 for a free estimate on interior and exterior home services from Raleigh’s #1 contractor.